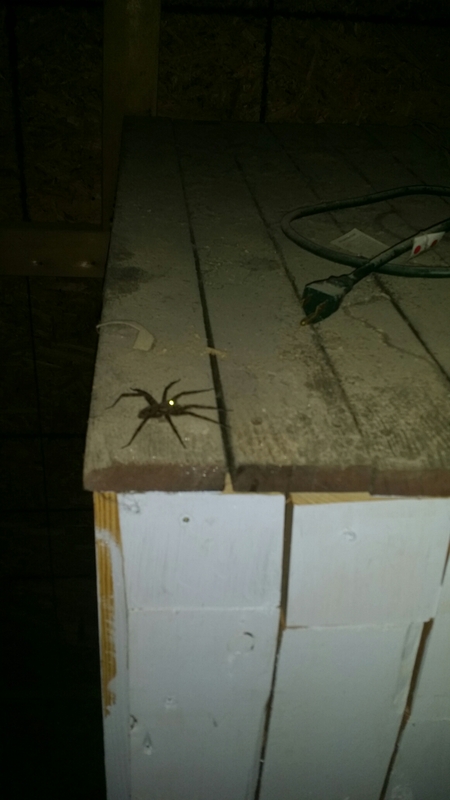 This huge spider was on top of the broody box Tuesday night when I went out to shut up the chicks. I almost had a heart attack. That board is a 1×4!!!! 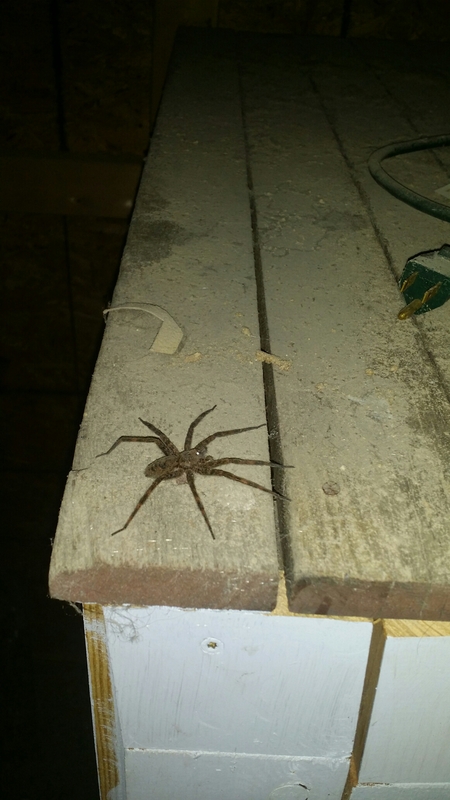 THAT SPIDER IS ALMOST 4″ ACROSS!!! It’s no longer in the coop. That thing was big enough to kill and eat one of the tiny chicks!